Description: Me&My Big Ideas Collection Create 365 is a system that combines your love for creativity with your need for organization. 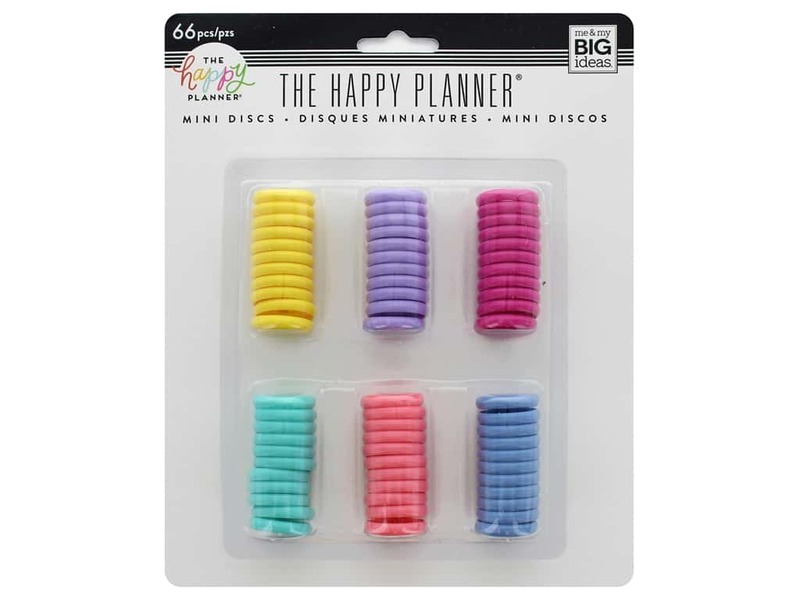 Happy Planner Disc Mini Value Pack- 66 plastic disks, with center heart-shaped opening, use to bind a build-it-yourself planner. Colors are yellow, lavender, hot pink, teal, light pink and blue. Measure approximately 88 in. in diameter.